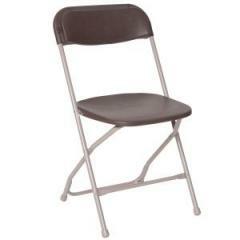 Folding Chair Brown, Outdoor Rated to hold 250 lbs The brown chairs are recommended for casual events. 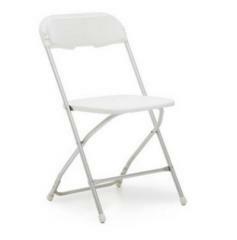 Not recommended for formal events such as weddings as they might be lightly scratched or discolored. 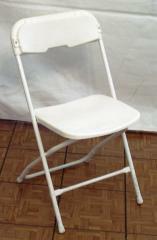 Plastic Folding Chair. 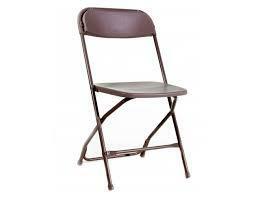 Steel frame and plastic molded seat for maximum comfort. 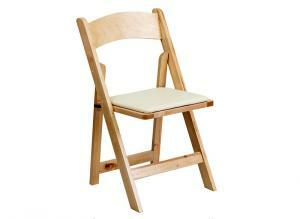 Seat and Back made of injection molded high-density polypropylene with brown color blending. 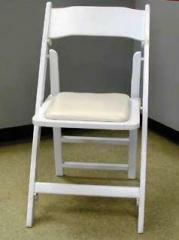 Perfect for indoor/outdoor events. 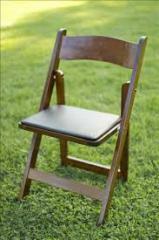 Most recommended for backyard, parties, get togethers, picnic, informal events Chair Cover available with sashes to tie around it. 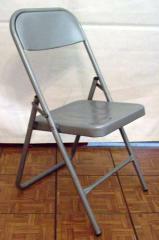 Brown Folding Chair measuring 18" wide X 31" in height. 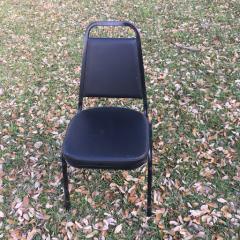 Attractive and comfortable Bar Stool with vinyl padded seat. 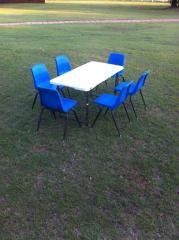 Ideal for rental when searching for a Bar Stool the highest quality at a very competitive price, we are confident that our product will meet and exceed your expectations.